Starlings are permanently native to the UK, but their numbers swell in the autumn with the arrival of migrants from the continent. Starlings roost on ledges, buildings and trees in city centres, causing damage with their droppings which erode stonework and make pavements slippery. They also build up large piles of twigs and leaves where they nest, encouraging infestations from insects and rodents. 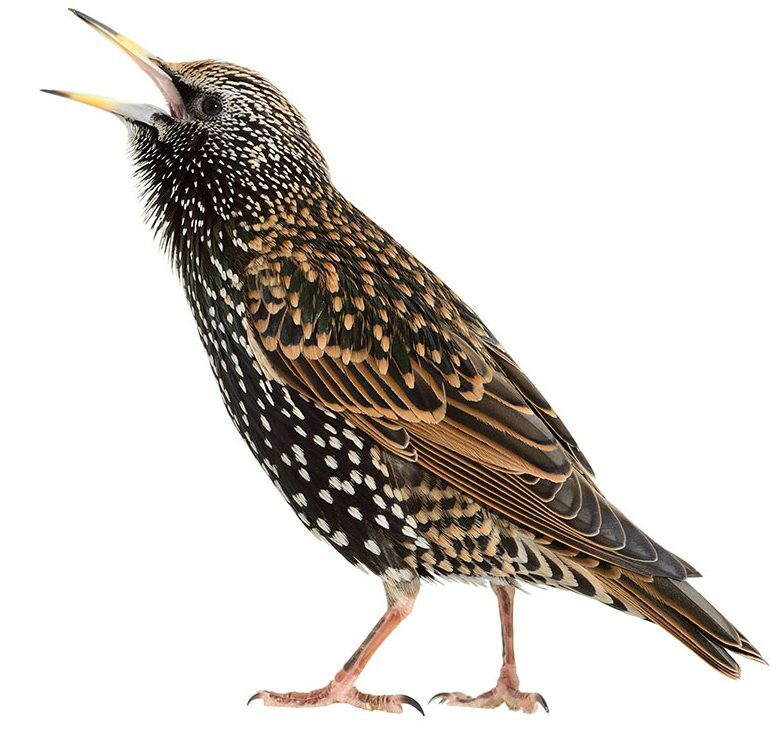 Starlings are a common problem for those in London and the South East, so give Envirosafe Pest Control Ltd a call before these birds create serious problems at your property. If you’re faced with problem starlings at your property, there are several things you can do. Proofing buildings with nets and mesh on entry points is the most effective, but scaring devices can also be implemented by trained professionals with the correct licences in place. Our BPCA trained technicians at Envirosafe Pest Control Ltd can offer solutions and advice for starling infestation issues and will work hard to ensure that your building is kept clean, safe and starling free. Our technicians have access to a range of professional products and tools to prevent starlings making themselves at home on your property. Our main objective is to proof buildings with nets and install mesh to entry holes on properties. We also include bird spikes, scaring devices and other bird repellents in our service package, making sure we cover all control methods. We include a 30 day guarantee with our bird repellent services. For full details, please look at our terms and conditions page. If you have any questions regarding starling control, you can get in touch with us using the contact form below.